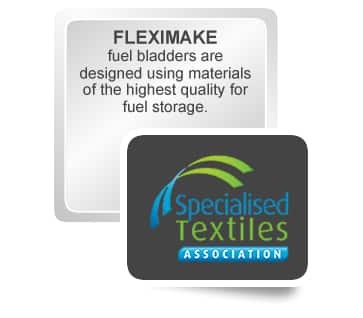 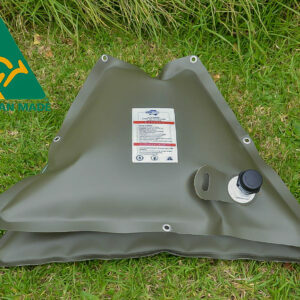 The 100 Litre is the first of our box style bladders. This means that we weld a wall between a top bottom panel. 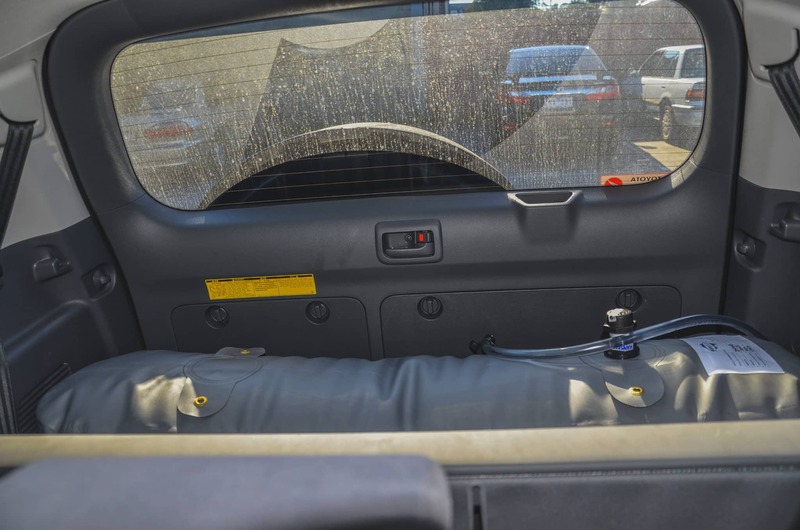 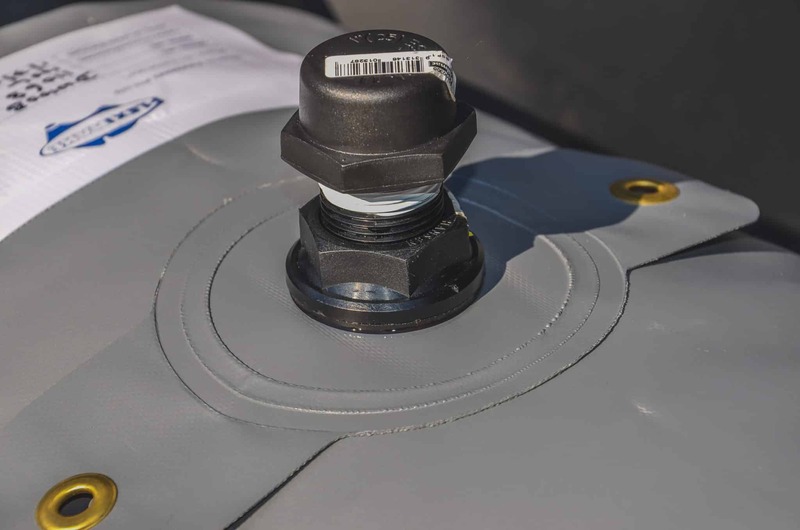 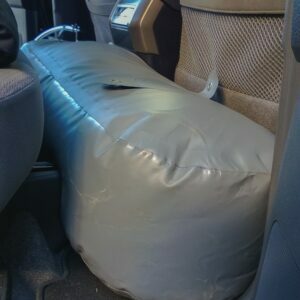 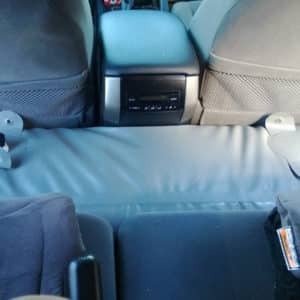 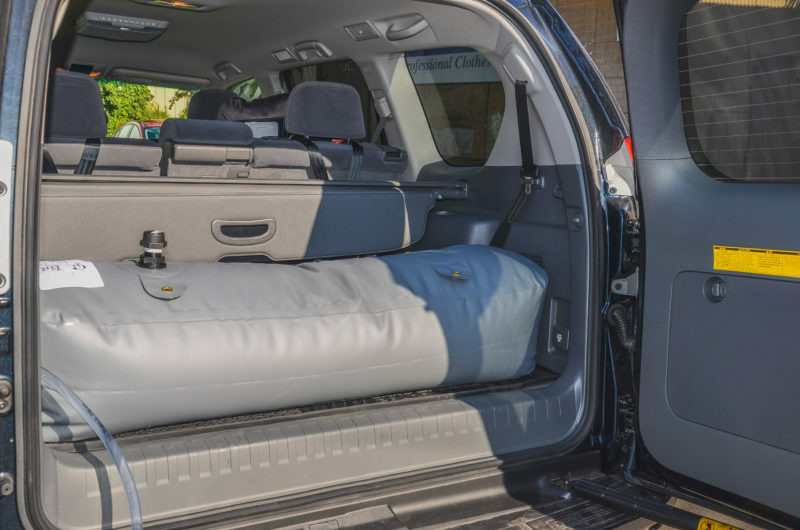 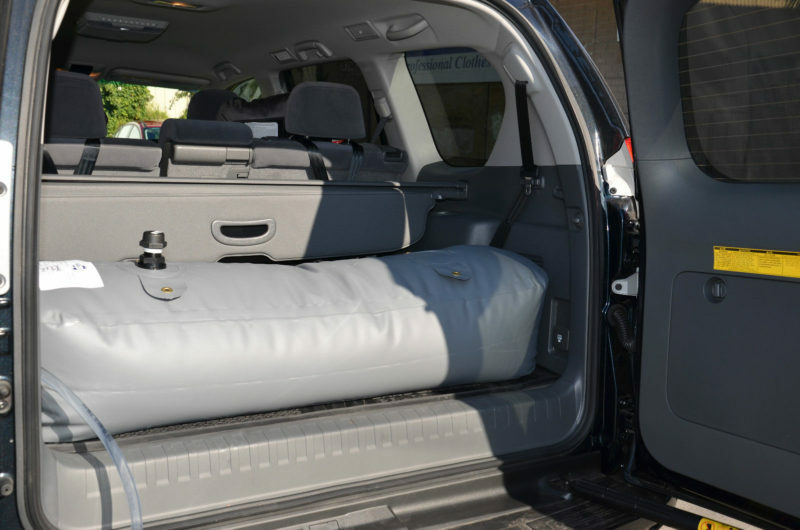 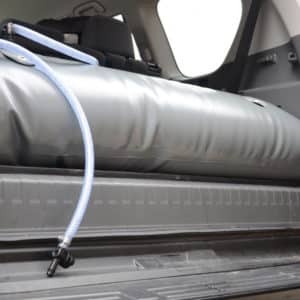 These models are designed to be supported behind the drivers and passengers seats in the rear foot well by the seats. 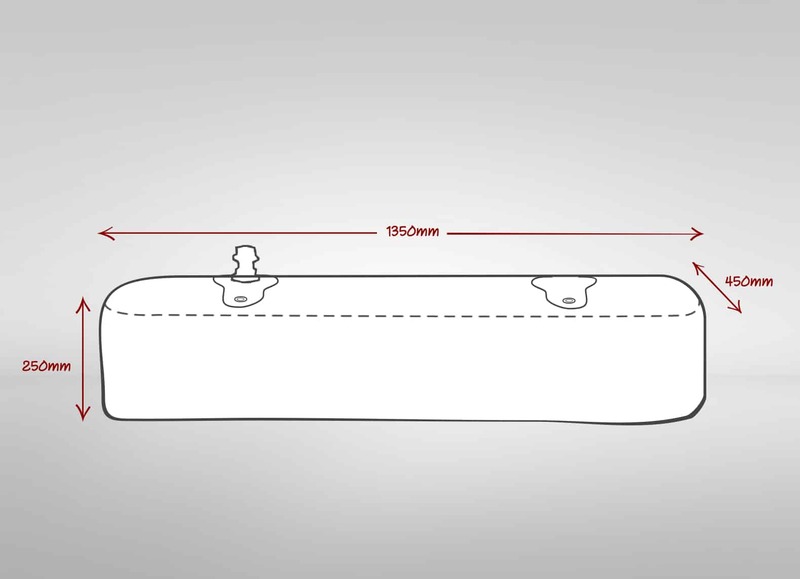 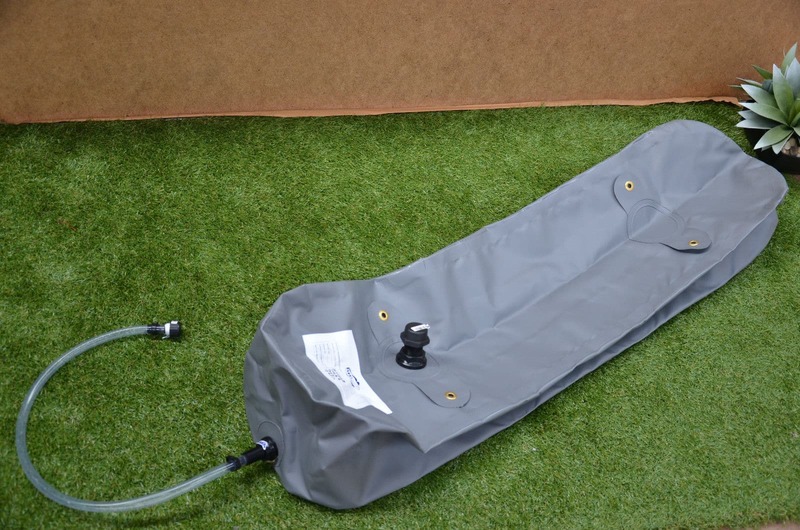 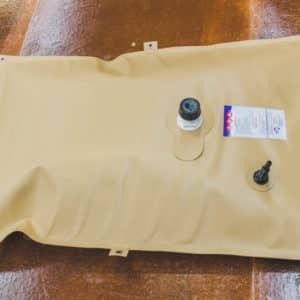 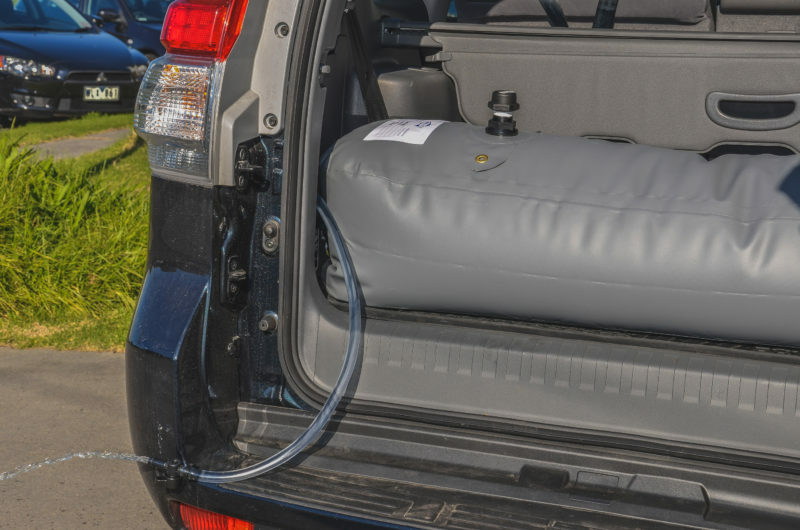 The 100 L bladder is perfect for medium size 4×4’s and those who wish to transport water to camp sites. 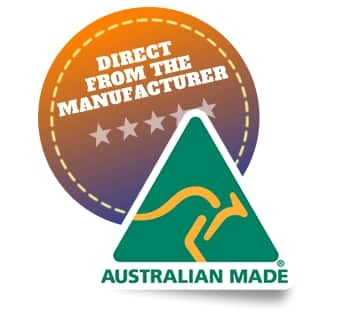 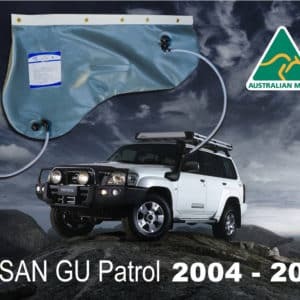 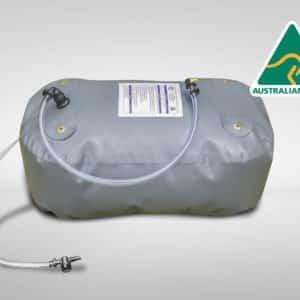 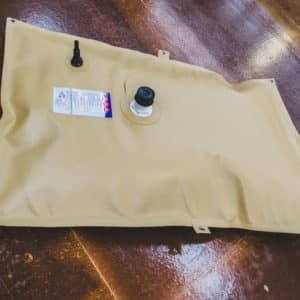 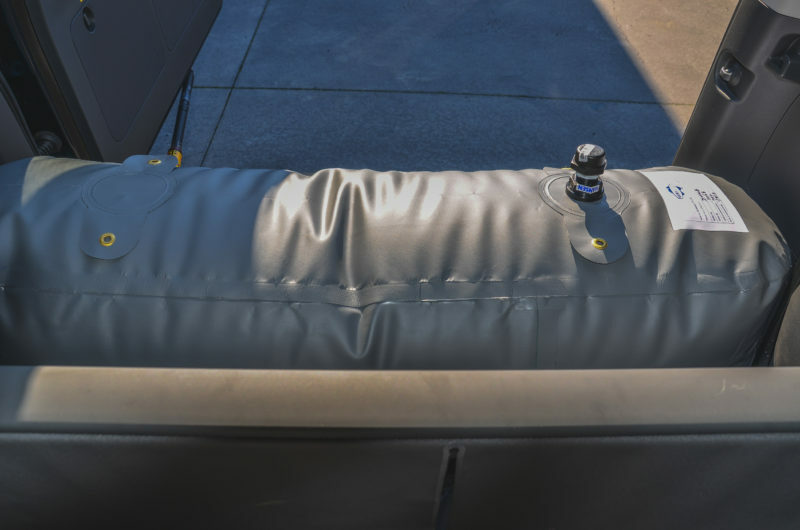 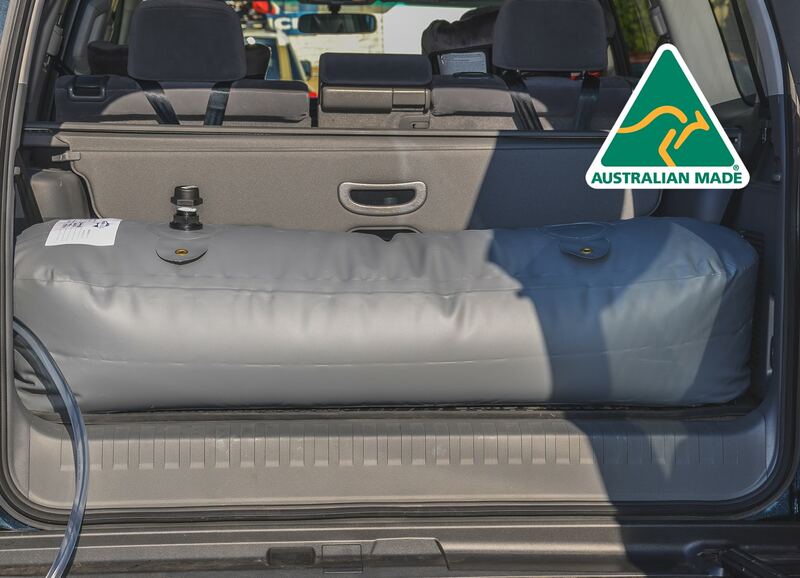 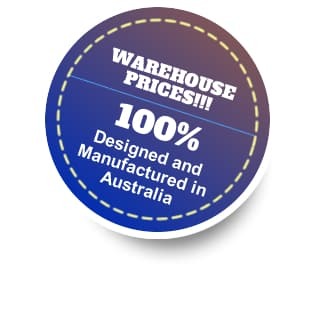 The 100 L is great for outback camping because it comes with a 1 inch inlet enabling it to be filled in remote locations by bucket or other methods as opposed to via mains tap. 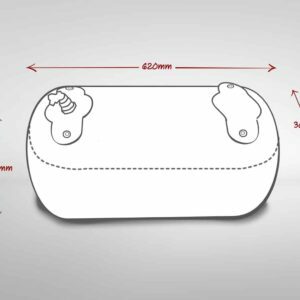 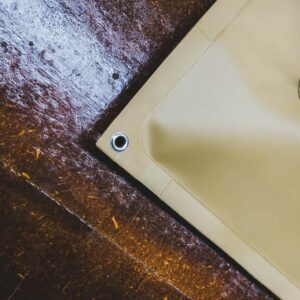 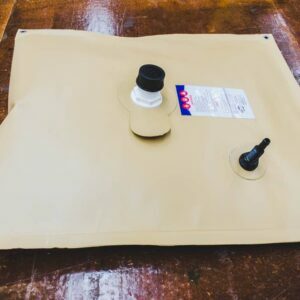 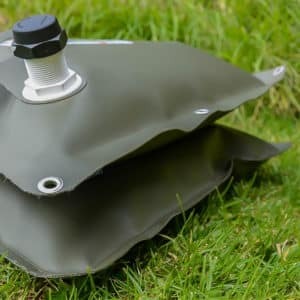 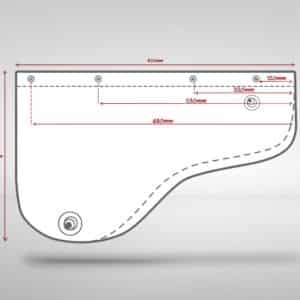 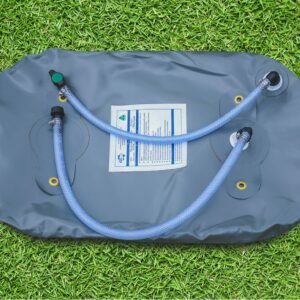 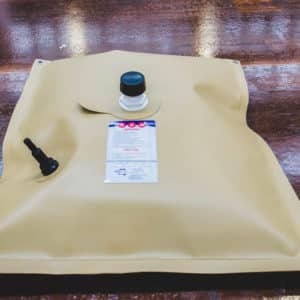 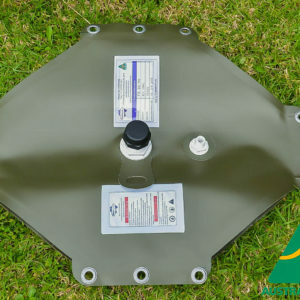 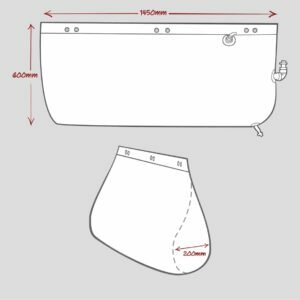 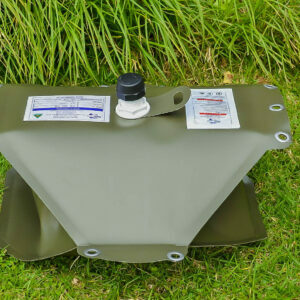 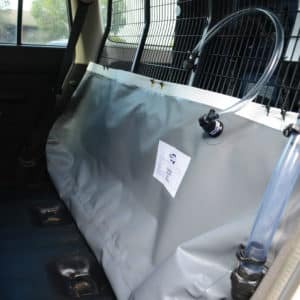 The 100 Litre Box Bladder comes in our standard 900GSM Grey Material and fitting placement can be changed upon request at no additional charge. 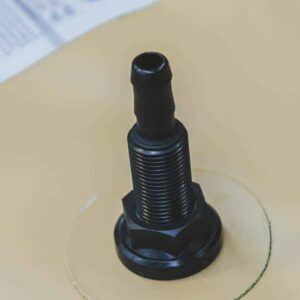 25mm Inlet / Breather and 13mm Outlet. 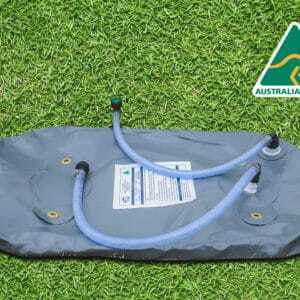 1 hose kit with tap, cap and 3 patches.